Crown is a second stage manufacturer to Ford. We have a team of engineers whose sole purpose is to design and manufacture equipment that is specific to your needs and takes advantage of all the content designed into the vehicle. 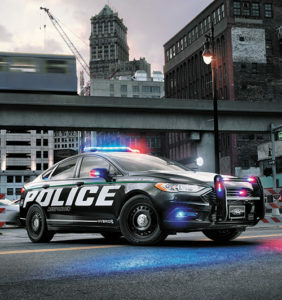 Each Crown option integrates seamlessly into your Ford police vehicle and will not void the factory warranty. We have a vast amount of experience installing and integrating police and emergency warning equipment. Whether you’re developing a spec for your fleet or looking to up-fit a single vehicle, we’ve got you covered. Contact us today and discover the Crown difference! Starting May 9, 2020. Call 1.800.585.1774 today to find out more.